May the force (fourth) be with you! 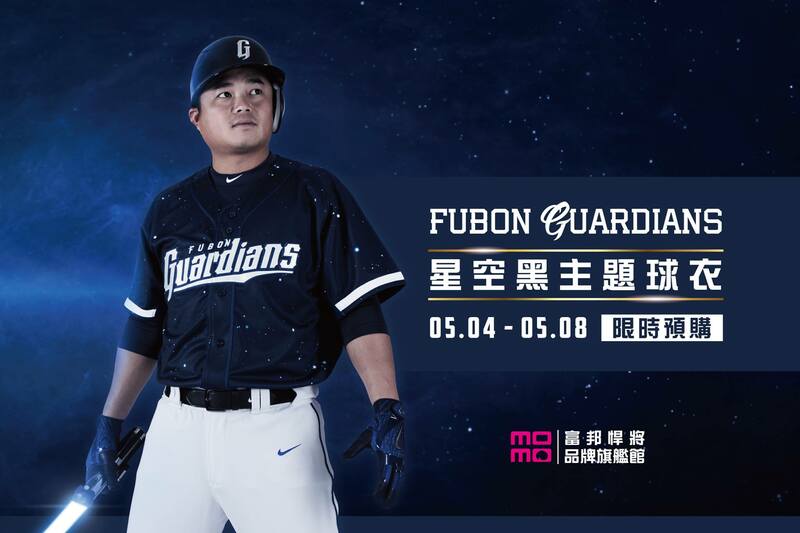 To celebrate Star Wars Day, the Fubon Guardians will wear the night sky uniform at this weekend series against the Monkeys. 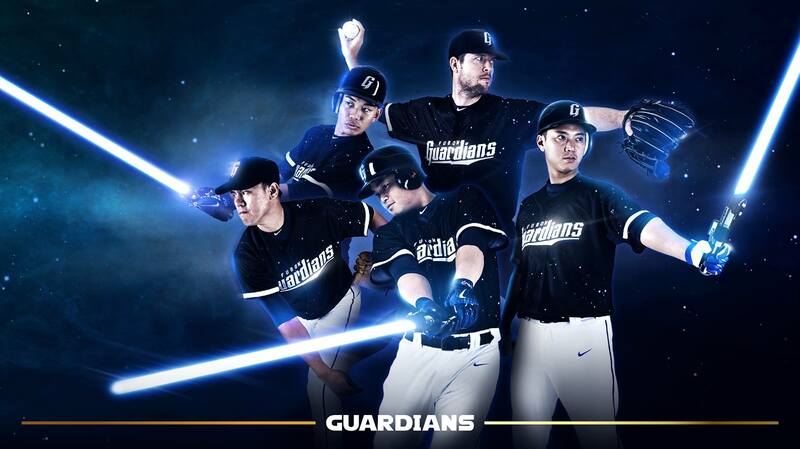 For the first time in the Guardians franchise history, the Guardians are using black as their uniform primary colour. With the design concept trying to capture the starry night sky, the uniform utilised the colour black as the backdrop with stars scattered all over, the Guardians also altered the font to give it more of a galaxy vibe. With the announcement of the Guardians’ Night Sky uniform. Let us take a look at all the Starry/ Galaxy/ Night Sky themed uniforms done by other teams. 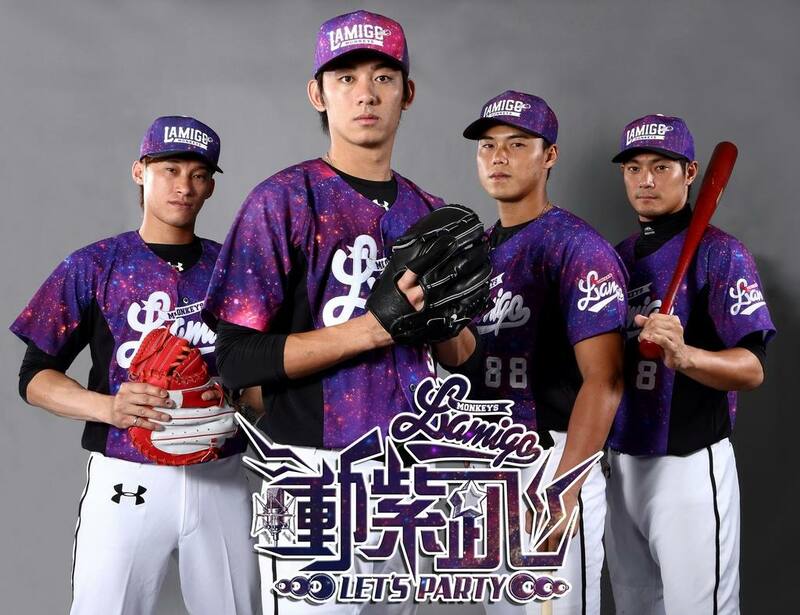 The second generation of the Lamigo Monkeys’ Purple Party uniform. The Purple Party is one of the most popular theme nights for the Monkeys fans, as the team turned the weekend event into a full-scale music festival. The third generation of the Purple Party uniform. 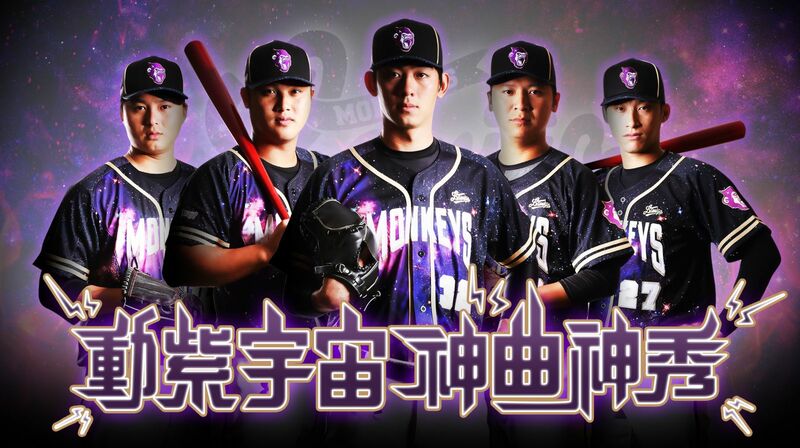 The Monkeys went for the dark sky theme in 2015 while still kept some of the purple galaxy element. The EDA Rhinos released this special uniform in memory of their late skipper 徐生明 (Hsu Sheng-Ming) who passed away from a sudden heart attack in 2013 at the age 55.